Data Sources Presidential Elections Since 1789, p. 91. For the last time in American history, only two parties contested a presidential election. The incumbent President, Andrew Johnson, had rejected the Republican Party and was rejected by the Democratic Party. 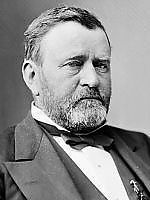 To replace him, the Republicans offered Civil War General Ulysses S. Grant; the Democrats offered Governor Horatio Seymour of New York. The mudslinging began early in the campaign. Democratic news outlets accused Grant of stealing a set of silverware from the widow of a Union soldier. They accused him of being a drunkard and anti-Semitic. Grant had only voted once in his life; in 1856, he voted for Buchanan because he knew Fremont and was certain that Fremont was unfit for the presidency. Republican newspapers dug up a news article from 1863 in which Seymour addressed a group of draft rioters as “my friends.” They insinuated that Seymour might have a mental disease because of “hereditary insanity” in his family. Republicans also criticized Blair’s lavish spending. On one trip in Hartford CT, Blair spent $10 for one night in a hotel room and an additional $65 for liquor. The latter stages of the campaign has been compared to a political Civil War. The Republicans had a single message for all voters: blacks must have the right to vote in order to ensure that the Civil War not be overturned. In contrast, the Democrats had separate messages in the North and the South. In the South, the Democrats (running as the Conservative Party) called for repeal of the Reconstruction Acts and a return to antebellum politics. In the North, the Democrats called for a more moderate Reconstruction program to restore all former Confederate states and move past the recent unpleasantness. Republicans picked up on the Democratic duality and used it against them. The great battle in 1868 was in the Southern states. Grant was expected to perform well in the North; even with the loss of New York State, Grant could expect to have an electoral vote margin of 138-54 with 45 electoral votes in northern toss-up states (CA, CT, IN, MO, NJ, OR) and 57 in Southern states. The winning number of electoral votes was 148. State elections held before the national election showed that the Democrats were gaining on the Republicans. These nine states elected 73 members of the U.S. House, and they chose 53 Republicans to 20 Democrats for a net gain of eight seats for the Democrats. Seymour, encouraged by the early state elections, embarked on a brief speaking tour. The New York World, a Democratic newspaper, believed that Seymour would not be able to win the election. On 10/15/1868, it ran an editorial asking Seymour to step aside so that the Democrats could run someone of the caliber of President Johnson or Salmon Chase. While the Democrats were definitely on the rebound, Seymour would need to carry almost all states in play in order to win. Grant, by contrast, only needed ten electoral votes from swing states. The election took place amidst charges of corruption on both sides. The Klan, which was in control of New Orleans, was lauded by the Conservative Party and condemned by the Republicans. Grant spent much of election day sitting beside a pot belly stove in the hardware store in Galena IL, chatting with his neighbors. The election of 1868 was a Republican landslide, although the Democrats made significant inroads. Grant won the popular vote, but his 53-47% margin was much closer than anyone anticipated. The Democrats proclaimed that Grant would have lost without the black vote. 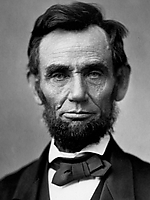 He won a mere 53.4% in the North, carrying all of the antebellum free states except NJ, NY, and OR. Seymour’s highest percentage in the old North (NJ) was 50.9%. Seymour won 51.5% of the vote in the South, but his concentration of votes in GA and LA meant that Grant won the Southern electoral vote by a margin of 58-37. The Democrats gained 15 seats in the U.S. House and three in the Senate but remained outnumbered by a margin of roughly 3:1 in the House and 5:1 in the Senate.